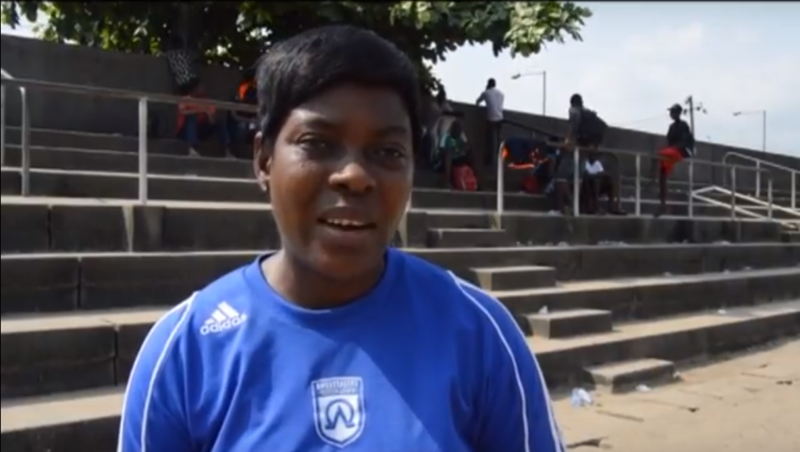 Ajuma Ottache, a Technical Director with the Flamingos and also the only female coach in the Nationwide League One died on Saturday, November 10. According to reports, Ottache had been battling a rare muscular disease which resurfaced while on national assignment during Flamingos last qualifying matches in Benin city. She started her football career in Ajegunle playing at the Navy Playground and later joined a local club, Gorike Queens Football Club, she was also at Queen Amina Football Club before moving to Ufuoma Babes of Warri. She took her midfield skills to Pelican Stars in 2004 and later FCT Queens of Abuja and Bayelsa Queens of Yenagoa. She was part of the victorious All Africa games team in 2003 where she scored 3goals from the midfield. Ajuma Ottache also featured in Nigeria’s women’s Olympic team at the Athens Olympics game in 2004, playing in two matches one of which Nigeria defeated Japan 1-0. She graduated to the senior team the Super Falcons, where she played an international game. Ottache who was a strong advocate for female football in Nigeria was a graduate of Business Administration from the prestigious Polytechnic of Calabar, now Cross Rivers University of Technology, Calabar. She also graduated from the National Institute for Sports, Lagos with a Diploma in Coaching and Training, a UEFA B license holder from Germany, coaches instructor with Ambassadors football. Until her death, she coached Googland Rangers FC and led them to three promotions.